Organisation: 25x25 Area, inside this we will have 4 little areas coned off for players to recieve the ball, only 1 player allowed in area at a time, recieves, passes on to next box, making the diagonal pass a lofted one, then goes to the back of line as shown above. Let all players have a go at switching the ball clockwise and anti clockwise. 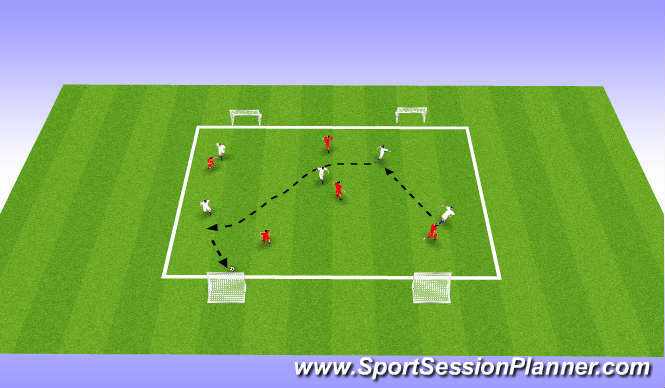 Can also have more than 1 ball in to keep tempo going, get players to follow their runs, and add a man in centre of pitch to recieve and do the switch. Key Factors: First Touch, Type of pass, Driven, Lofted, Swerve, Body adjustment, Accuracy of pass. 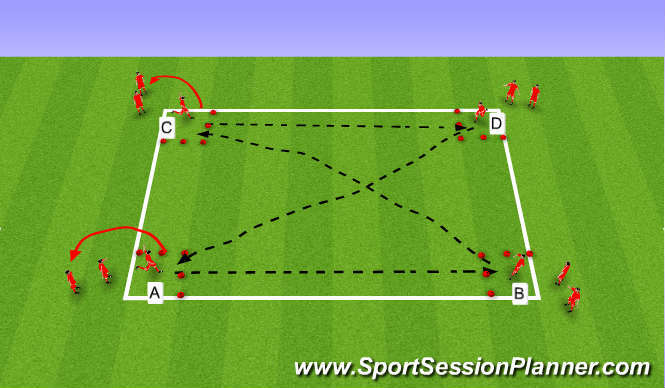 Organisation: Area of 20x30 split into 3, giving 2 end zones of 5x20. 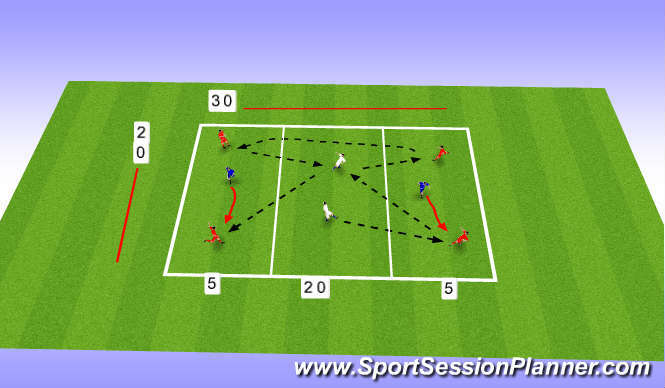 Organise 2v1 in each end zone, plus feeders in the centre, feeders pass to end zone player who can pass back or to other team mate, Once space is made, end zone player is to switch the ball to the other end zone. That player must then use one of players in centre before continuing the practice, centre player can only play ball into the zone they recieve from. Each end zone will have a defender trying to block the switch.